William Alan Cornelius served with the South Wales Borderers in the Second World War, and was killed in action in France in August 1944. 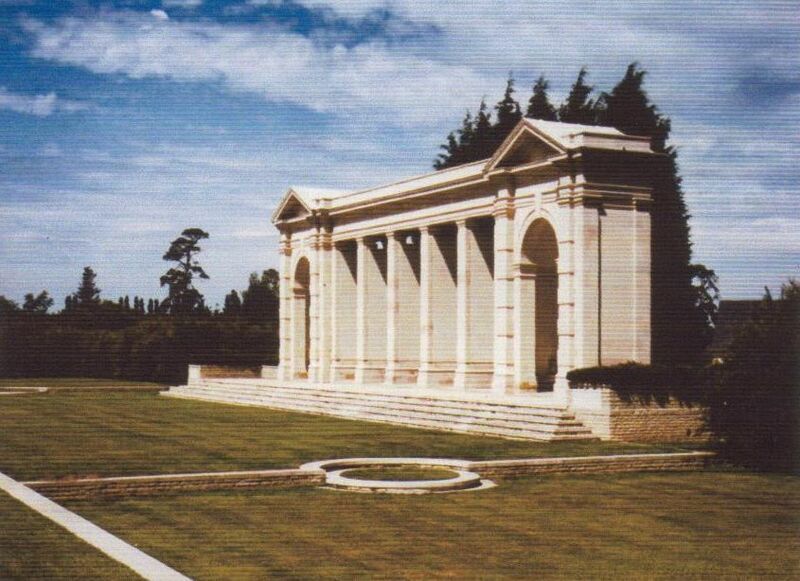 The information on William Alan Cornelius has been compiled from a number of sources, including the Commonwealth War Graves Commission, from the South Wales Voice newspaper, and the Parish Burial Register (courtesy of the Swansea Archives). 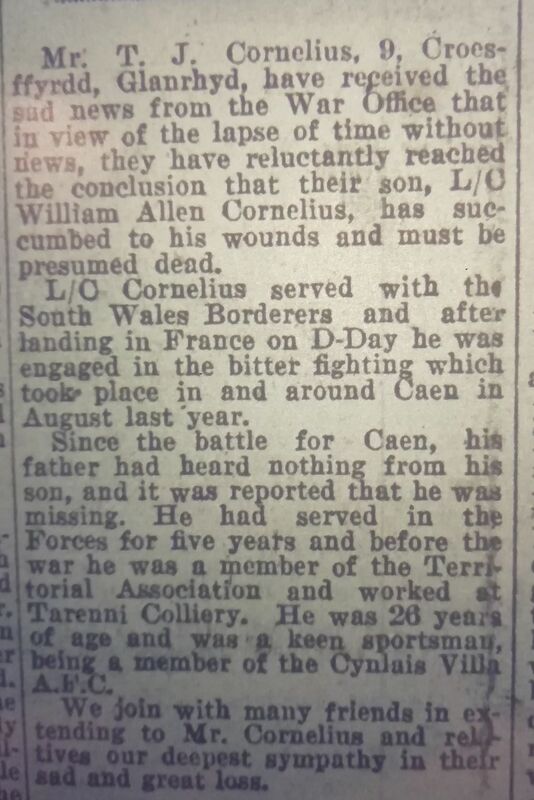 Mr T.J. Cornelius, 9 Croesffyrdd, Glanrhyd, have received the sad news from the War Office that in view of the lapse of time without news, they have reluctantly reached the conclusion that their son, Lance Corporal William Allen Cornelius, has succumbed to his wounds and must be presumed dead. Lance Corporal Cornelius served with the South Wales Borderers and after landing in France on D-Day he was engaged in the bitter fighting which took place in and around Caen in August last year. Since the battle for Caen, his father had heard nothing from his son, and it was reported that he was missing. He had served in the Forces for five years and before the war he was a member of the Territorial Association and worked at Tarenni Colliery. He was 26 years of age and was a keen sportsman, being a member of the Cynlais Villa A.F.C. We join with many friends in extending to Mr Cornelius and relatives our deepest sympathy in their sad and great loss.